Half dinosaur, half construction truck, full-on fun! Watch giant Ty Rux, his little buddy Revvit and the crew come face to face with evil D-Structs. 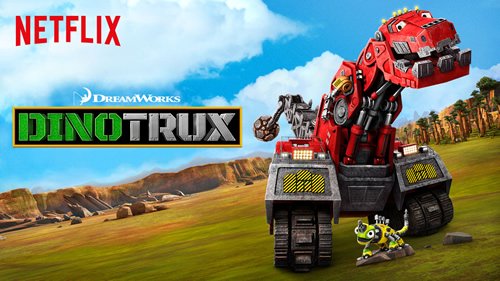 In DreamWorks new animated series, they have taken two things that most young children love, dinosaurs and construction vehicles, and cleverly put them together to make lovable new friends for kids. My boys were just excited to see a new show on Netflix but once they realized it somewhat involved Dinosaurs, they were fully on board. There is conflict and problem solving and even some laughs that kept my kids watching and enjoying. 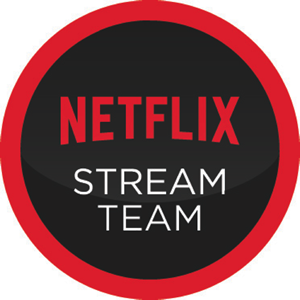 We are always anxious to see what Netflix adds to it's library every month, and both of these are absolutely loved by my boys. My oldest was extremely excited when we saw Teenage Mutant Ninja Turtle pop up!